I absolutely love entertaining outdoors this time of year. There’s something about dining outside I find so refreshing. Since I spend so many of my days indoors it’s nice to end my day relaxing on the patio, enjoying good food with great company. And a good meal always includes a delicious cocktail, right? Today I wanted to share one of my favorite simple cocktail recipes that uses fresh seasonal ingredients. Strawberries are at the season’s peak right now and are sweeter than ever. When you add some fresh mint and lime juice this drink is sure to become one of your favorites. 1. 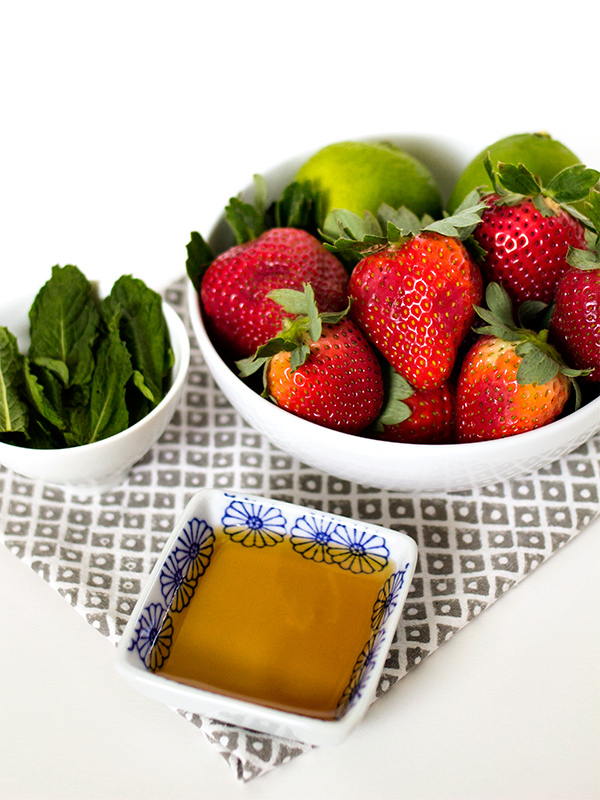 Place the sliced strawberries, mint leaves, lime juice, water and agave nectar in a blender. Puree until smooth. 2. Divide the strawberry mixture equally into 4 glasses. 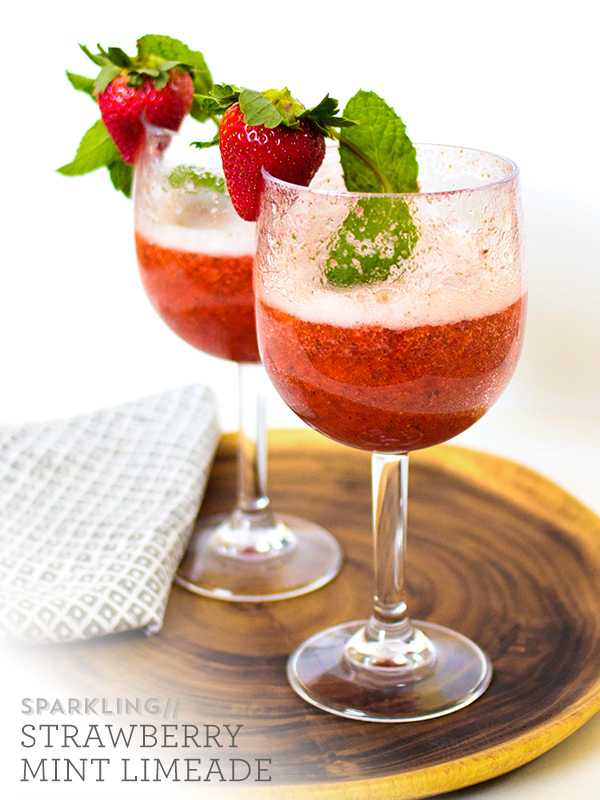 Top with your favorite bubbly and garnish each glass with a whole strawberry. Then enjoy! 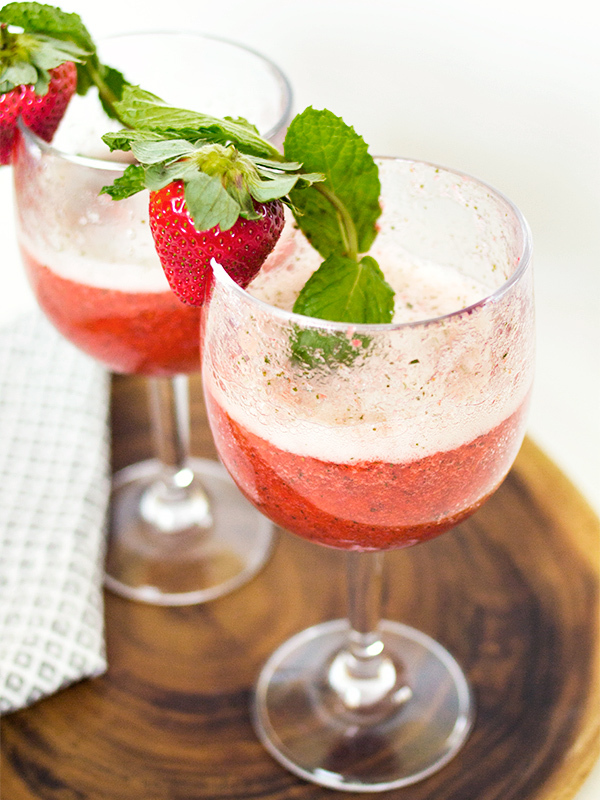 The post Recipe for Limeade – Sparkling Strawberry Mint appeared first on The Flair Exchange®.